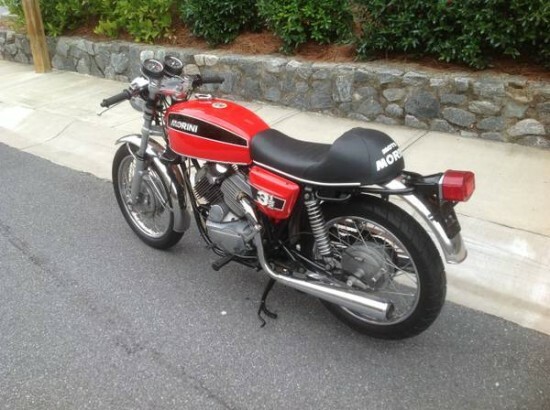 Today, we a have a cool reader’s ride from Charlotte: a very clean Moto Morini 3½ for sale. Click on the link for the original Craigslist post. 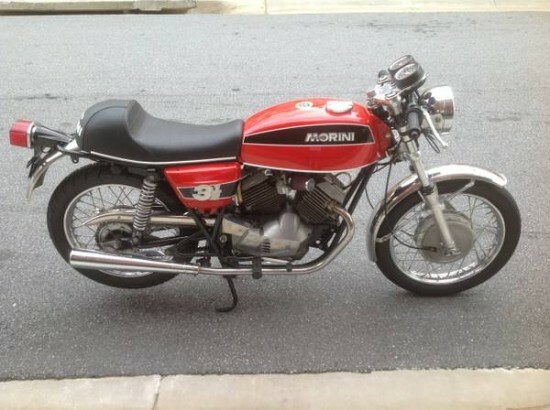 Morini is very much the forgotten Italian marque: they never had much of a presence in the US, since they never really made a big-bore machine to compete in the North American market, and their smaller machines never had quite the cache of a Ducati or Moto Guzzi. 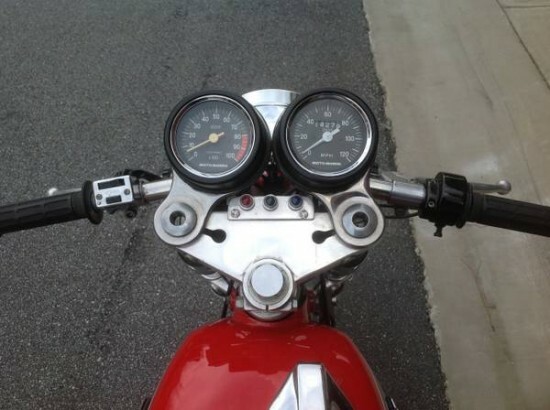 The 3½ was a classy little machine blessed with world-class handling and returned excellent fuel mileage, although the 344cc 72° V-twin’s provided fairly unimpressive power. The overall look is simple and classic, but the motor contains some interesting technology: it featured a six-speed transmission, belt-driven cams, and “Heron” heads that have a flat underside and parallel valves. Combustion in a Heron-head engine occurs in the concave surface of the piston top. This relatively unusual configuration was also used in the small-bore Guzzis and provided simplified manufacturing and impressive fuel economy. The 3½ was introduced in 1974. I’m not sure what year this particular example is: it appears to be an early, drum-braked model, as later versions had a single or optional dual-disc front. 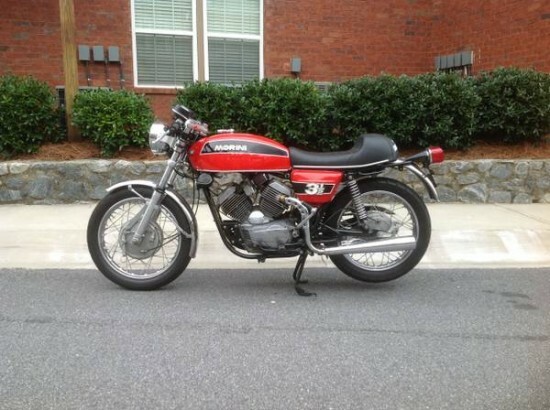 The seller is asking $8,500 for this rare little machine.